Is cleanliness an issue in your office? Have previous cleaning companies let you down? Your employees and customers don’t have to suffer the consequences of this. Make sure to go for Pro Cleaners Notting Hill straight away and we will breathe new life into your work space. Our office cleaning service in W11 Notting Hill has been used by hundreds of business owners so far and we have established a name for ourselves. We are number one in cleaning and we have served the business circles in London for a long time. We have what it takes and we can prove it. Pick up the phone and get your office cleaning service straight away. You won’t regret it. Forget about other companies that disappointed you along the way. At our company we provide the best quality possible, we have enviable work ethics and we select our staff very carefully. You will be astonished by our office cleaning service in W11 Notting Hill. At our company we value high quality and we stay as long as the situation requires. If it is our first clean, we are likely to stay longer so that we can get rid of all the grime and dust that have accumulated over time. Our cleaning program includes wiping down desks with our powerful cleaning solutions, vacuuming couches and other furniture pieces, dusting shelves, cleaning cupboards, sweeping and mopping the floor, and cleaning the toilet. We are conscientious, thorough, meticulous and diligent. We will address the most discerning requests on time and to your satisfaction. Our cleaning equipment is tried-and-true. Over the years we have collected a bunch of helpful cleaning tools and products that work their magic. We have all sorts of solutions that kill germs and remove dust and dirt. Once we finish cleaning, each and every area of your office will be spotless. 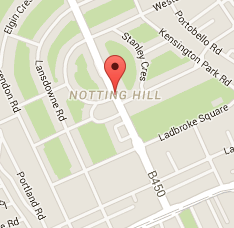 We guarantee that using our office cleaning in Notting Hill London is the best thing you can do. Make sure to call us.